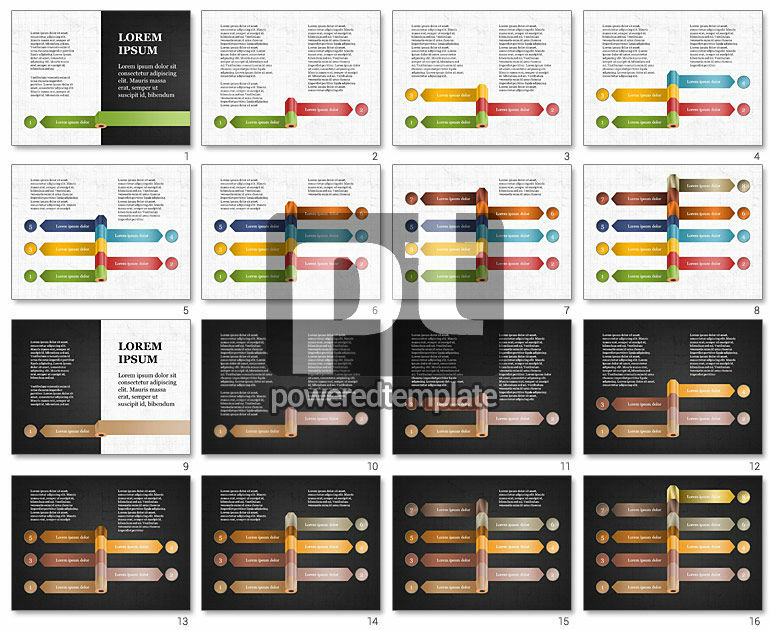 These presentation slides 51171 are complete compatible with Google Slides. Simple download PPTX and open the template in Google Slides. Sometimes the concept of the presentation depends only on one main object, like this one where the pencil plays a great role. From the first slide this object becomes bigger and bigger and introduces more and more information. Such meaty presentation can be used in projects where the orator needs to present important ideas step by step.